Rich Alotta, a financial adviser from St. Louis, stunned the handicapping contest world Saturday by pulling off a remarkable double, earning two NHC spots within hours by winning the annual NHC Rookie Contest and finishing second in a standard NHCQualify contest. The daily double of NHC berths is rare enough; for a first-year player to accomplish the feat is unprecedented. 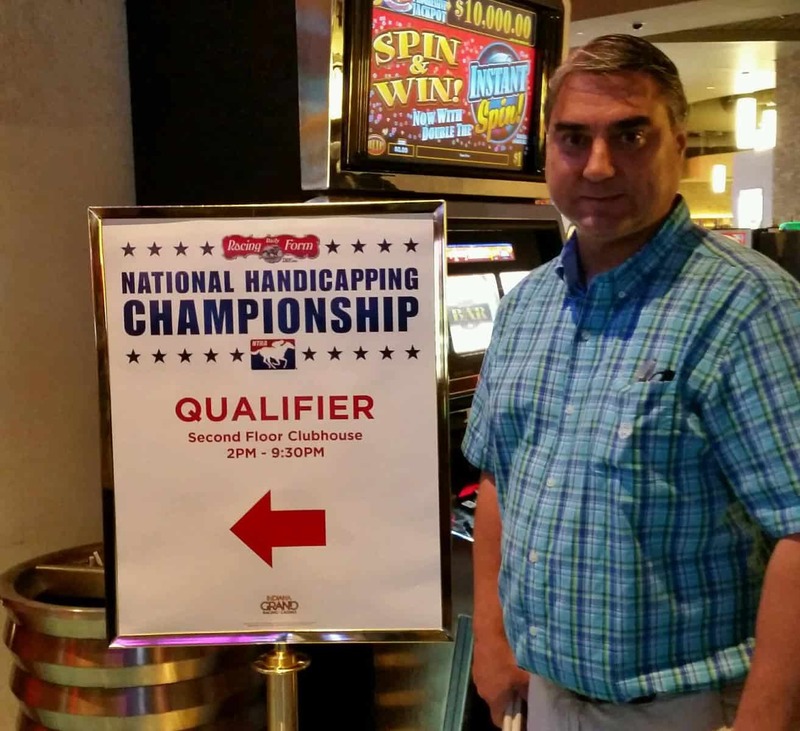 Alotta, 51, has been a horseplayer since attending the races at Fairmount Park more than 30 years ago but only recently found his way to contest play. He joined the NHC Tour in August and had participated in only three online qualifiers before last week. Just like that he holds the maximum of two entries for the world’s richest and most prestigious handicapping contest, the $2.8 million (estimated) Daily Racing Form/NTRA National Handicapping Championship presented by Racetrack Television Network and Treasure Island Las Vegas, Jan. 27-29, 2017, at Treasure Island. When did you join the NHC Tour and why? “I saw an advertisement for the contest at Indiana Grand about a month ago (Aug. 20) so I went up there just to check it out. We thought it would be cool to give it a try and see if we couldn’t cross the NHC off our bucket list. I’ve been playing the horses for probably 30 years but I’d never tried the NHC before. I didn’t have a lot of luck there but it got me thinking how neat it would be if I could get to Vegas and participate with the best of the best. I went to the website to see what other contests were close to St. Louis. I didn’t even know there were online contests so when I saw that I went ahead and registered. To win twice in a day I would guess you used the same horses in both contests and happened to have a lot of big prices? What other big scores can you remember from the day and why did you like those horses? “The J Y in Belmont’s seventh was 8-1 and Fioretti in the Open Mind Stakes at Churchill was 14-1. Both of them were horses that had shown early speed in their previous race but were turning back in distance. I just thought that they’d be able to hold their speed. Both of them paid pretty nice. Do you see a connection between your handicapping skills and your career as a financial adviser? What did it feel like once you knew you had qualified for Las Vegas? And how do you think you’ll do out there at NHC 18 with the big money on the line?